As we are all now aware, the former 9th planet in the system of Sol, Pluto, has been demoted to “dwarf planet” or large Kuiper belt object. 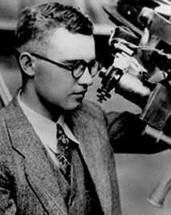 Pluto was discovered by a jovial and very young astronomer in 1930, named Clyde Tombaugh, using an exhausting tecnique of visually appraising telescope plates for minute and almost imperceptible changes upon serial exposures. Only the truly geeky amongst you will also be aware that in 2006 NASA launched a spacecraft called “New Horizons“, which is scheduled for a rendezvous with Pluto in the summer of 2015. This is a terribly exciting mission for a number of reasons. First, it will be the first time we’ve ever had any sort of reliable visual image of Pluto. Even with the Hubble space telescope, Pluto appears as a blurry mess of pixels. Who knows what it really looks like? Second, this will be our first view of the mysterious Kuiper belt, this vast stretch of matter at the outskirts of the solar system which may nonetheless be the source of the organic materials from which all life on Earth was formed. And third, the New Horizons spacecraft contains a special cargo: the ashes of Clyde Tombaugh, who died in the late 90s, mercifully before his discovery was demoted. It’s not the first time human remains have ended up in space. Gene Roddenberry, creator of Star Trek, was among the first to have his remains blasted into orbit, in something now called “space burial“. And one of the discoverers of the Shoemaker-Levy comet, Eugene Shoemaker, actually has his ashes scattered on the surface of the Moon! It was dropped by the Lunar Prospector probe in 1999. Tombaugh’s burial, though, really is a remarkable thought. What would he have thought if we had told his 23 year old self in 1930 that this impossibly distant, almost theoretical “planet” that he had just discovered would one day be the location of his mortal remains? What a heady idea. Actually, New Horizons will not be dropping Tombaugh’s remains on Pluto. Instead, it will keep them as the probe swings out to penetrate the Oort cloud and, eventually, emerge into interstellar space. So Clyde Tombaugh will be the first human being to have an aspect of his physical body transported to the stars. It will be thousands, perhaps hundreds of thousands of years before the probe ever gets anywhere near another solar system, though. By then, humanity may be long extinct. But imagine for a second if an advanced alien technology finds the probe in the very distant future. Maybe they have a way of extracting long destroyed genetic material from cremated ashes. And maybe they can reconstitute a whole person from this material. Clyde Tombaugh will then be the real Buck Rogers: born in 1907, yet the last surviving human being, living hundreds of thousands of years in the future with space aliens light years away. Interestingly, Tombaugh was a lifelong UFO buff, and while alive was one of the most prominent astronomers to have publicly claimed to have seen UFOs. If indeed he ends up being humanity’s sole representative in the galactic commons, from what I’ve read about the man, it couldn’t have happened to a nicer fellow.